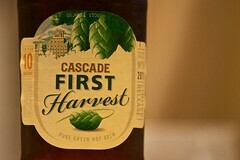 Cascade’s First Harvest is definitely a brew you can look forward to every year. The IBU’s aren’t up there like a Cooper’s Pale Ale, which is a good thing with this drop as it lets the subtle flavours, of hops I’ve never heard of, come through. IPA’s are another style of beer that I’m not very familiar with. Sure I’ve heard about them and some-what knew what to expect (a slap in the face of hops and very bitter), but I’ve only tried 2 or 3 brews. I expected this Gage Road’s Sleeping Giant IPA to be very bitter and aromatic. And while the hops they used had a great aroma, it wasn’t the slap in the face like I was expecting. This brew has a very thick mouthfeel that lingers. A full bitterness that complements, not over powers, the subdued hop notes and sweetness of the malt. Off white head and a very deep amber colour. A fantastic brew that I will definitely be buying again soon. Murray’s Craft Brewing Company describes this beer with some fairly dense beer-snob terms like “biscuity/toffee flavours” and that they’ve combined an American Pale Ale with an English Pale Ale. Just read my past ten reviews and you’ll clearly see that I’m no beer snob. The aroma is fantastic sweet and florally hoppy. 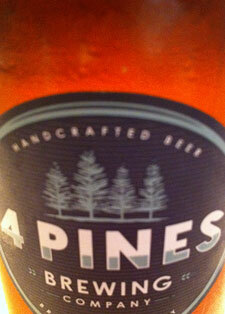 They’ve certainly made use of the New Zealand grown Cascade and Hallertau. To match these great earthy notes, they’ve crafted a off-white head. Darker then other pale ales i’ve seen. And to top it off, it is as cloudy as a beer can be. Which is just great in my book. Personally, I don’t get any toffee flavours. But I do get a wonderful bitterness and full mouthfeel that would most certainly, like they said, go well with spicy food. 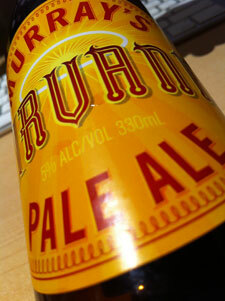 Pale Ale’s are, probably, my favourite beer style. Their bitterness to hop range is so vast that you’d be hard pressed to find a bad pale ale. 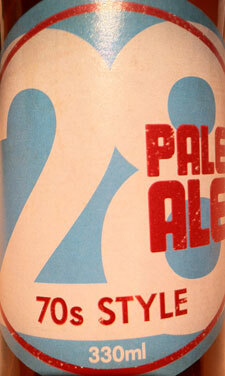 Burleigh Brewery’s “28 Pale Ale” is certainly no exception. When first poured into a glass, you’ll first notice a wonderful floral aroma of hops. 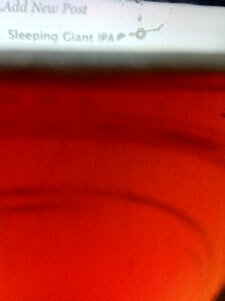 This brew pours cloudy and a fantastic deep amber colour to match it’s well suited off-white foamy head. In fact, everything about this brew is “well suited” including how the malty flavour is offset brilliantly against the bitterness. This brew has definitely made it onto my “Definitely Try Again” list along with trying others from the Burleigh Brewery. I’m not even sure how to pronounce this brew. But that’s okay, as I wouldn’t be buying another one. That makes it sound like I don’t like it and well… It’s not a favourite. The Erdinger Weisbrau is currently the only other wheat beer I’ve tried, and it was a brilliant drop. There are obviously some similarities between the Schofferhofer and the Erdinger. The wonderfully foamy head, the almost creamy mouthfeel, and the subdued bitterness. 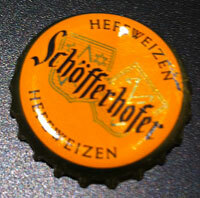 But the Schofferhofer is also a very cloudy beer, quite a sweet aroma and more of an earthy aftertaste. Unfortunately, for me, these tastes don’t mesh and won’t have me reaching for this bottle on the shelf again any time soon. 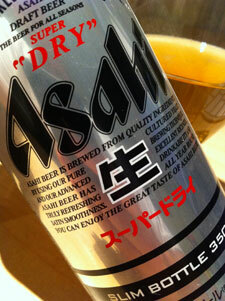 What can I say about Asahi? Well… Y’know that generic “beer” smell? That’s Asahi. And generic is the best way to describe this beer. The only real surprise with this fairly generic brew is the malty mouth feel. I was not expecting that, but it wouldn’t be enough to get me to buy this brew again. There’s nothing wrong with this drop. Just, nothing really stands out about it either. This isn’t a bad thing. Every country needs a common or cheap beer that is consumed en mass. Hell, Australia has about half a dozen of these. But if you’re going to pay import prices for beer, it’s better off being something unique. One of the hops this Pale Ale uses is Citra. And it certainly lives up to it’s flavour profile with this brew. 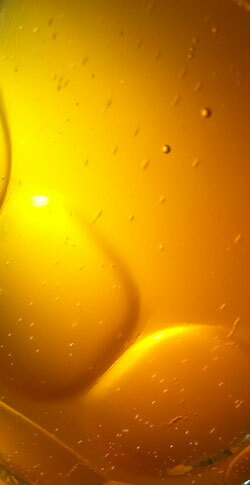 The citrus and spicy zing that hits you when you first take a sip is fantastically suited to its deep amber colour. Despite it’s use of a 5 kinds of hops, this brew still has a seemingly lighter mouthfeel then you’d expect from a pale ale. The bitterness is up there, at 35IBU. But with the strong citrus hops, the bitterness had to be upped to balance out the flavours. Lightly carbonated, but clearly this was perfected through various incarnations of the brew. I feel that if it had any more or less CO2, the citrus and spiced notes would pop way too much, or not at all. A fantastic addition to anyone’s fridge of regulars. To be honest, I believe this would be my first ever true wheat beer. Sure, I’ve tried many different brew styles that are, in part, brewed with wheat malt. But this all all wheat. It’s also all head, all sweetness and a fine matching zing of something almost citrus but not quite. The first aroma note that hit me upon opening the bottle, is the smell common smell of many European beers – thought not quite as overpowering. My first thought upon tasting was “Wow! That’s very sweet!” Of course, this comes from my reading about various wheat beer styles that can be sour. But that’s not to say this brew isn’t sweet in taste. More so then I’d expect. But it damn sure works for this style. I also expected a creamy, full mouthfeel. Once again, I was wrong. This drop rolls off the tongue and leaves you wanting more. Especially if you’re eating jalapenos while trying this brew. This is definitely a brew I will go back to try again and again. Full of surprises – but in a good way. Blending Crystal and Pale malts gives you an amber ale. 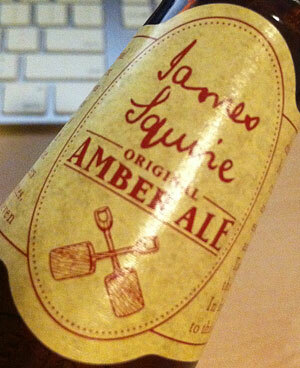 Using the correct hop schedule gives you an Amber Ale from James Squire. This brew has a unique, yet familiar, taste low in bitterness and about mid-range on the mouthfeel scale. Leaving a some-what fresh after taste, JS’s Amber Ale has a brilliant deep copper colour that seems to fit it’s earthy flavour tones and the sweet and very malty aroma. While I don’t feel JS’s Amber Ale will find it’s way into my fridge regularly, that doesn’t mean I won’t be enjoying it every so often as a way of changing things up. Honey seems to be a popular adjunct to include with wheat beers. Probably because it can add some very subtle notes to the aroma depending on what kind of honey you use. 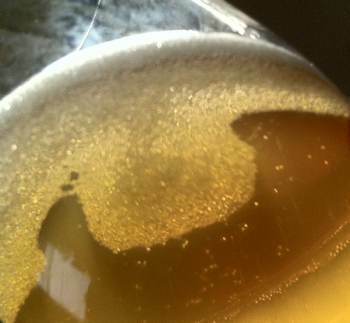 Mildura Brewery uses “Orange Blossom” in their locally brewed Wheat Beer. Although it only comes through very subtly. This brew does have a zesty mouthfeel and, while having a low bitterness, it does make use of Pride of Ringwood hops (same hops as Cooper’s Pale Ale) but in considerably different amounts and boil times as the zesty bitterness doesn’t linger around spoiling the aftertaste. I had expected a strong honey or hops aroma. While not a bad drop, it isn’t as flavourful as I would like.